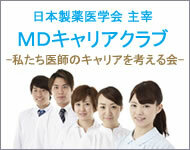 JAPhMed is the Japanese Association of Pharmaceutical Medicine. As a national member association of IFAPP (International Federation of Associations of Pharmaceutical Physicians) in Japan, JAPhMed has defined its vision and mission, and developed an executive committee in accordance with its constitution. The President, supported by two Vice Presidents, represents the executive committee. Each director is responsible to promote organizational activities in collaboration with representatives of each project team.